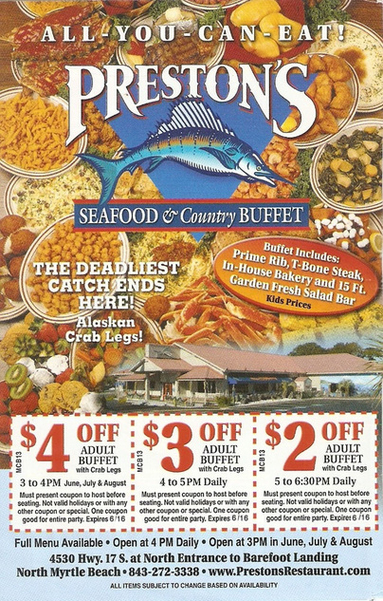 Print these coupons* and bring them to Preston's Seafood & Country Buffet. Please present them to your hostess upon arrival. We hope that you enjoy our food and look forward to serving you! *Please present coupons to HOSTESS upon arrival, as discounts will NOT be honored after being seated.